Reading Can Actually Be Fun! So… Your Child is Getting Ready to go into Kindergarten?! Kindergarten is an exciting time! What an exciting time! If you’re reading this right now, I assume that you either have a child who is getting ready to enter kindergarten, or who may already be a kindergarten student. This is an exciting and crucial time for them! 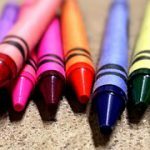 As a former kindergarten teacher, I would like to share my thoughts with you on some things children should know before Kindergarten. Some of these you may already know. Some, you may not. Whatever the case, I hope you find these tips helpful! I Can’t Emphasize How Important Kindergarten is! 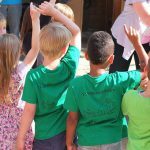 Since kindergarten is the foundation for a child’s educational future, and the backdrop for how their future educational experience will most likely go, there are so many things to take into consideration. The fact that you’re taking your valuable time to read this tells me that you definitely care about your child’s educational success! That says a lot about you as a parent, and I thank you for caring! 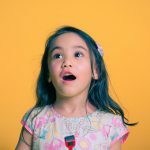 There are so many things that your child should know before they enter the magical world of “big kids.” Yes, I refer to my 5 year old students as big boys and girls, simply because they are now of school age. I think it also makes them feel much more important, especially if they have older siblings! So…if they are “big kids” now, there are many important things they must learn that deal with educational and social goals, as well as many others. There are also some things that I would like to share with you, as parents and caregivers, that will hopefully help you, as you turn your precious little ones over to caring teachers! I can’t stress enough just how crucial social skills are for a child beginning school. When I taught kindergarten, it seemed like every child entering my classroom came with different social expectations. As a parent, I’m sure you will already know these, but I thought I would briefly touch on a few of the most important ones to remember. One of the most important social skills that a child can possess is getting along with others. That seems like a given, right? I thought so when I started teaching kindergarten, until my first day of working with these kiddos. Then, reality set in! First, there were the “takers,” who gladly took everything anyone gave them, and more! These were my kids who would monopolize the blocks during center time, thinking that they belonged solely to them! Next, came my “warriors.” These were my students who were more aggressive, and insisted on having it their way, or no way! There were also my “non-aggressors.” These were the kiddos who would show kindness towards their classmates, and then turn around and eat another child’s snack when I had my back turned! I was shocked! But, then again, I had to remind myself that these were 5 year olds, and we had a lot of work to do in order to make their Kindergarten year a successful one! One thing that kindergartners, as well as other kids, need to be taught is the “Golden Rule.” They are to treat others as they would want to be treated. You might role play different scenarios with your child to see how he/she would react in different circumstances, such as what to do if another child takes something of theirs. It’s also wise to set up “play dates” with other children so that you can watch to see how your child reacts with his/her peers. Children love these! It will also give you a chance to see what your child needs to work on. Kindergarten Children Getting Along Together! A second, but extremely important skill that your child will need to work on is learning to listen intently for extended periods of time. This is critical so they don’t miss anything that the teacher is teaching! Even though kindergarten teachers usually break lessons up into 5-10 minute blocks, many kiddos seem to miss crucial elements of the lesson due to inattention. One very helpful thing that you might want to do is increase the amount of time that you read to your child by 30 seconds-1 minute each night. This gives your child the opportunity to actually engage in listening to a story for longer periods of time without wanting to get up and play. Increase reading time every night by 1 minute. Something else you might want to try is just having a casual conversation with your child every day, and gradually increase the time you both engage in talking and listening to each other. You will be able to see how much your child is actively listening to you by the answers he/she gives! A third thing that your child will need to learn to do before entering the wonderful world of kindergarten is sitting still for longer periods of time. I know that it’s hard for these little ones, as they are so used to being active! However, most kindergarten teachers will usually have the students sit on the carpet or their own square rugs during many lessons. Kindergartners learning to sit still while listening to a story! Another thing you might try is to have your child practice sitting at a child sized table and practice writing his/her name, letters of the alphabet, and numbers. If you’re interested, you might check out various writing books that will allow your child to have extra practice with writing skills! 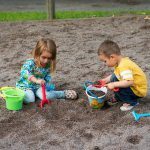 Gradually increase the amount of time they have to sit and work until they can actually sit for 10-15 minutes without wanting to get up and play. Believe me, your child’s teacher will thank you for preparing your child ahead of time! Have your child practice sitting while writing abc’s or numbers. A fourth skill that is crucially important for all children, but especially kindergartners, is following directions the first time given. This means that if the teacher tells them to take out their crayons, they are to do that right away! Children should take out their crayons after being told once! No teacher should have to lose his/her voice just because they had to repeat directions repeatedly! It gets old very quickly when you have a kiddo who decides to do things in his/her own time frame! Plus, it holds the class back from learning all they can during a lesson. Something helpful you might work on is giving your child one instruction, such as, ‘Write your name on your paper,’ to see if they can accomplish it the first time! After they master the rule of following directions the first time, increase it to two instructions at a time. Make a game out of it! Kids love anything that is made into a game! It’s OK to Make Mistakes! That’s the Way We Learn! Kids need to know that it’s ok to make mistakes. All children need to realize that making mistakes is just a part of everyday life. If they do something wrong, it’s not the end of the world! They just need to pick themselves back up, and start again! This is the way we all learn. This is called life, and in my opinion, this is one of the most important life skills there is. It seems like I have met so many parents recently whose children entered kindergarten excited and ready to go, but soon began to struggle and fail, simply due to the fact that these parents had no idea that their children were supposed to actually know certain things before the first day of school. They always tend to blame themselves, which makes me sad. It’s hard to know what to expect if you’ve never worked in a school setting. If your child is in preschool, whether in a public, charter, or private school setting, or simply in a day care where they teach educational skills, then kudos to you! Your child is on the right track for kindergarten readiness! However, you’ll still need to review and build upon these skills at home. The fact that you’re still reading this post tells me that you want the absolute best for your child! Reinforce what is being taught in Preschool! 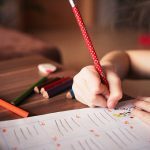 Aside from the valuable social skills that all kindergartners should know before entering the classroom, there are also many educational skills that will help them to be more successful. I am going to be discussing the reading/language arts skills in this post. This tends to be the foundation for just about everything else your child will learn in school. So, let’s get going! Reading skills play such an integral part of pretty much everything we accomplish in life. If a child learns to read early on, they tend to have an easier and more enjoyable school experience. In addition, they will most likely experience a brighter future, prayerfully, without the many hurdles that illiteracy can bring. So, if you’re not reading to your little one on a daily basis, please start now! Kids usually emulate what they see and hear. If they see you enjoying reading literature to them, they will more than likely want to read as well! Please get those books out, and read, read, read! If you’re interested in checking out books at incredibly low prices, please click below! I would like to be open and transparent with you, as parents and caregivers. When you buy something from the websites listed on my site, I may receive an affiliate commission. I never recommend poor quality products, or create false reviews to make sales. The opinions I express are not representative of the companies that create these products. It is my intention to explain products in such a way that you can make informed decisions on which ones best suit your needs. 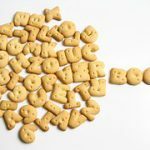 In an earlier post, I gave several fun suggestions for helping your child learn his/her letters and sounds. The abc’s are where reading first starts. Depending on where your child will go to school, such as a public, charter, or private school will determine just how much is expected before that crucial day. Below, you will see some words highlighted in blue. If you click on each one, it will take you to a wonderful publishing company that I have bought from, for like…forever! This is the Carson Dellosa Publishing Group! They have just about every workbook you could ever need, as well as fun learning games and books that will engage your child for hours! Feel free to check out some of their materials. In a majority of schools, kindergartners are expected to come in knowing the letters of the alphabet, and a majority of the sounds, if not all. Even though the kindergarten teachers will go over these at the beginning of the year, it will help greatly if your child knows these ahead of time. There are many fun ways to learn the abc’s! In addition to knowing their letters/sounds, it will be a big boost to your child if he/she can actually read basic words that we refer to as “sight words.” These include words such as: at, on, the, in, under, etc.. The more words they can read going in, the easier it will be to read more difficult words, thus boosting their self confidence! This is the way to start! 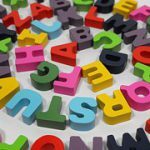 One extremely easy way to teach your kids to read early on, with very little effort on your part is with one of my favorite online phonics reading programs-ABCmouse.com. I wrote extensively about this easy to use online program in another post. It’s an ingenious way to guide your kids through the reading process, beginning with letter/sounds, blending letters together to make words, rhyming words, sight words, and so much more. 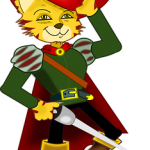 ABCmouse.com was awarded the Parent’s Choice Award for excellence in online education, as well as several other awards! In my opinion, it’s really hard to beat this program in terms of educational value for the money. If you’re interested in learning more, simply click the link below, or visit ABCmouse.com! Two other essential things five year old kiddos are expected to know are basic vocabulary words, as well as recognizing words that rhyme. You can actually teach many of these words through the reading of nursery rhymes and fairy tales. Another fun way to teach rhyming words is through a game called Listening Lotto! Kids seem to learn so much faster when they’re playing a game! I was astonished at the beginning of my first year as a kindergarten teacher to find out that quite a few of my kids had never been exposed to nursery rhymes and fairy tales! I actually wrote the more popular ones out on poster boards and put pictures with them. This made them more enjoyable to read and memorize! We also role played many of these nursery rhymes and fairy tales so that the kids would have an easier time understanding what each word meant. I would also say a word and have them tell me which word rhymed with that particular word. You might try this at home! This will definitely expand their vocabulary in huge ways, as well as their understanding of rhyming words! Puss in Boots is a very popular fairy tale! Creating word families helps to start the actual reading process for the younger children. These are words such as: (mat, cat, fat), (Ned, fed, red), etc.. I think you get the picture! When I am working with my 4 and 5 year olds, one thing I hear most frequently is, “I want to read a book!” This can be accomplished very simply after learning word families. I highly recommend Bob Books. These are several series of beginning readers that start out with word families, and work their way up to more complex words, such as sight words and compound words. This is where I begin with my early readers, even as young as 4! They absolutely love them. I think this is due to the fact that they are actually reading! One very important thing that kindergarten teachers look for in their students is to see if they can retell a story after it has been read to them. After you read a simple story to your child, have them retell it back to you. Make sure that they include something from the beginning, middle, and end. 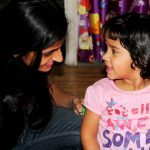 Usually, guiding your kids with questioning techniques, will help to spark their memories! Be sure to allow your child to look back at the pictures. This is another way for a child to remember what was just read. You’ll love the looks of amazement on their faces as they realize that they remember what was just read to them! I love to see the looks on children’s faces when they learn something new! When your child enters kindergarten, he/she will need to definitely know how to write some, if not a majority of the abc’s correctly. It’s common for a five year old to reverse some letters, such as b and d, and p and q. There’s no need to worry at this age. So, don’t panic! If you’re worried about your child’s handwriting, you might look into some beginning handwriting books. Many of these books will guide your child as they trace the letters, write them on their own, and eventually write words, sentences, and basic stories. You can’t go wrong with these books. Your child will get handwriting skills, plus the bonus of learning to write words and sentences! Beginning kindergarten children will also be asked to write short sentences in their writing journals. If they can hear the first letter of each word, that would be great, at this point. For instance, let’s say they are writing, “A cat ran on a mat.” If they can at least write- A- c- r- o- a- m, that’s a good start! This means that they are paying attention to the first sound of each word. However, as time progresses, they are going to be expected to write more letters of the words, such as the beginning and ending sounds of each word, and eventually adding in a vowel. I love to read what my 5 year olds write! One thing you might do is label things around the house on index cards, such as stove, bed, wall, etc.. Then, as they begin to put words together using “word families,” add those to a wall in their bedroom. Pretty soon, they’ll have their very own “word wall!” I always used one wall in my classroom as a word wall, and it was amazing how many of my kids used words from the wall in their sentences! It was exciting, to say the least! Having your child write in a journal on a daily basis for at least 5 -10 minutes would be a helpful start. At first, their writing may look like a bunch of scribbles! That’s perfectly fine. This is way they begin. Please make sure to have your child practice writing and saying his/her letters of the alphabet several times a week. Handwriting tablets work great for this. 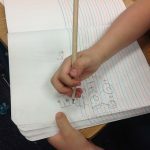 Pretty soon, you’ll be amazed at the progression of their writing, as they go from scribbles, to writing the 1st sound of each word, to writing even more letters of the words, and eventually, the entire word! Writing can, and should be fun for kids! Kids are like sponges! If they see you writing as well, it will make them want to write even more. They always tend to want to be like their moms and dads! Hang in There! Kindergarten Will Be Great! Don’t sweat it! If you help to prepare your child ahead of time, then his/her kindergarten year will be awesome! Don’t be afraid to leave your child with the teacher. I know it’s hard to see your little one venture off into the wide unknown! But, please trust me. Kindergarten teachers are some of the kindest and caring people there are. Your child will be in great hands! Your child will be in great hands! Books For Parents That You Will Want to Read! There are some terrific books available that parents can read that delve deeper into what your 5 year old should know before he/she enters Kindergarten on the first day of school. I would encourage you to check into these. They will definitely give you ideas of specific things to work on with your child. The name of the book that I have used and recommended most frequently is called What Your Kindergartner Needs to Know. This will pretty much tell you everything your child is expected to know before they enter the doors of “big school,” as well as what they will be learning in the classroom. Another great book that will help you prepare your little one for a positive kindergarten experience is called Kindergarten: It Isn’t What It Used To Be. This will definitely shed some light on the way kindergarten has changed over the last decade. And, believe me…it has drastically changed! If you’re a first time parent, you’ll be amazed! I wish you all the best as you and your child continue to embark on this wonderful world of learning! If you ever have any comments or questions, please leave them below, and I will be more than happy to get back with you as soon as I can. And, as always…Happy Reading to You and Your Child! Whoa, such a great detailed post. I enjoyed reading every bit of it. I am glad to see a site like this that puts huge emphasis on reading with kids at a time where every single kid has an iPad or a phone and they are stuck on it 24/7. I agree, its very crucial for us to starting reading with our kids at an early age, not only does it increase their potential to learn faster in the future, but opens their minds on a lot of things as well. I am curious more about when you said to make things a game because children love games. I remember when I was a kid I would go run and fetch things for my parents because they said they would time me. To me it was a game and I was happy to do it because it was just that not actually doing a chore. What advice would you give about making simple tasks into a game. Is there a special way to do, or what is the best way to play as many “games” as possible without children knowing what is going on? Hi Brad:) When I taught kindergarten, I had to make quite a few learning activities into games so that I could keep my kids’ attention spans going! For instance, when we were reviewing the letters of the alphabet, I would give them a letter, and they would take turns coming up with something in the classroom that began with that letter! We acted out nursery rhymes and poems, which was also fun for them. When we were counting and sorting, I would give them the colored goldfish crackers, and they would have to sort them into groups by color, and then count each group to see which color won! We also played “Going on a vacation.” This is a game where I started out by saying, “I’m going on vacation, and I’m taking an apple.” (Apple starts with the 1st letter of the alphabet.) Then, the 2nd child in the circle would say, ” I’m going on vacation, and I’m taking an apple and a bear!” This would continue through the alphabet. They loved this! I loved reading this. I have 10 kids and as I’ve learned more, I can see the differences in the way they cope with pre-school. It was more of a trial and error basis, trying to pick out ideas from the internet and encouraging the kids to learn. Your post brings it all into one concise reference and easy to read. I’ve always loved books and I’m glad that this love of reading has been passed on to my kids, we limit their time on iPad, and even on iPad we try to control their access so that they use mainly educational/developmental apps. 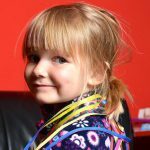 However, we are struggling with our youngest, she is bright and intelligent in her own way, but we’ve discovered that she has delayed development, so at 4 years old, she’s actually only at the level of 18 months and still not speaking coherent words and struggles to dress herself. Could you provide any advise on how to better prepare her for pre-school? Hello ASG! Thank you so much for your kind words:) 10 kids! That is truly a blessing from God:) You are a wise parent to control the amount of time that your kids spend on the iPad, and allocating quite a bit of this time to educational apps. and games. 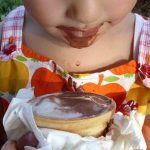 I think it’s wise to teach our kiddos self control before they grow up to become adults! 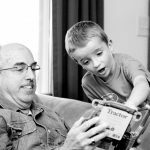 As far as your precious 4 year old, you might consider a device specifically geared for the little ones, such as the Fisher Price Laugh and Learn Smart Stages Tablet. This will help her learn the letters of the alphabet, as well as putting the letters together with the sound that each one makes. In this way, she will be able to hear and eventually say the letters/sounds, which will in turn lead to speaking small coherent words. Another thing you might look into is speech therapy through the public school system. My niece had a similar problem. She was significantly delayed in the area of speech. My brother and sister-in-law enrolled her in speech therapy when she was four, and now she is doing much better! The only sound she still has trouble with is the “r” sound. Love this post! I wish I had searched for what my children needed to know before they started kindergarten. It’s definitely a different world in the schools these days. Hi Darli:) Yes, it is definitely a different world in kindergarten these days! Kids are expected to know so much more than ever before. I have a private tutoring business, and it seems like I’m picking up so many of the younger kiddos who didn’t know their letter/sounds as well as so many other things before they started kindergarten. The education system is definitely striving for excellence now, which is a blessing! I appreciate you reading and commenting on my post! This is a great post for all my girlfriends who have their kids at pre-K. I am sure the pre-K have taught some skills already but hey you are responsible for your child right? I wish my parents were this thoughtful when they brought me up. Will share your post to my friends. Hopefully it will be for me soon sice my husband and I are trying to have kids but it has been difficult. This is an amazing article, I could read it for days ;). 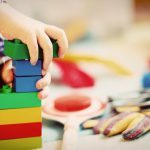 Although my kids are at the ages between 9 and 12, this is such an inspiring and amazing post that enable parents to prepare their kids before going to kindergarten. 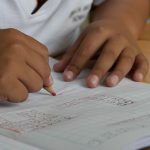 Learning to read is such an important element which would enable the kids have a brighter future and making learning seem like a game is something I also did with my children. I think it’s very important for parents to spend at least 5 to 6 times in a week reading with their children and just taking the time to have conversations with them to understand just how well they comprehend what they’re saying and ways on improving it. Thank you, Solomon, for your insightful feedback! It sounds like you are a wonderful parent to your two kiddos! I’m so thankful that you have made time to read with your children. They’ll remember this for the rest of their lives:) I appreciate you stopping by! Best wishes to you and your kiddos as they continue down this pathway to learning!